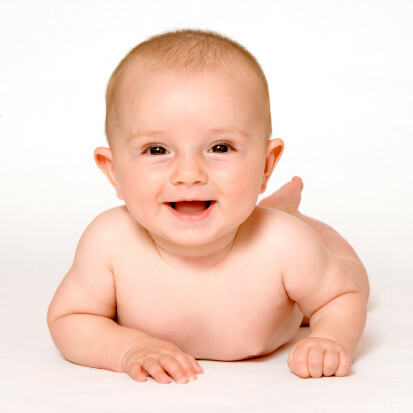 Babies will often develop a flatter head when they are a few months old. This is often from sleeping on their back and should correct itself over time. 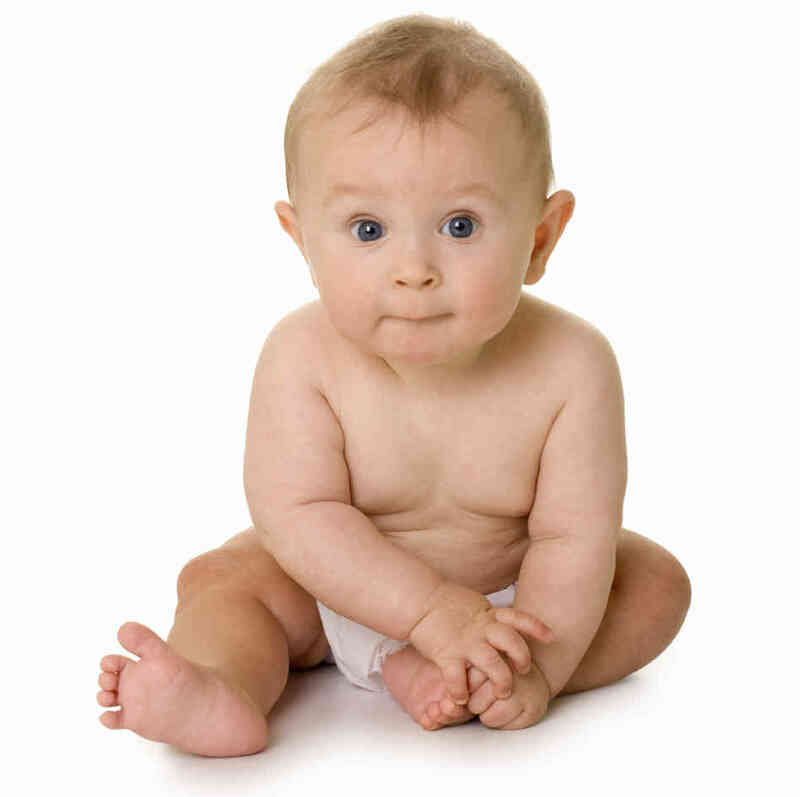 Your baby’s head can go flat because their skull is still soft and can be molded to change its shape. This occurs if there is constant pressure in one area of the head. This condition is called flat head syndrome (or positional plagiocephaly). As a parent it is important to know the symptoms as well as treatment options so that your baby doesn’t have to suffer from this physical embarrassment. Plagiocephaly is a condition which causes a child’s head to become misshapen or develop a flat spot. The most common type of plagiocephaly is positional plagiocephaly which occurs when a baby’s head develops a flat spot in an area which receives constant pressure. This is more commonly referred to as flat head syndrome. 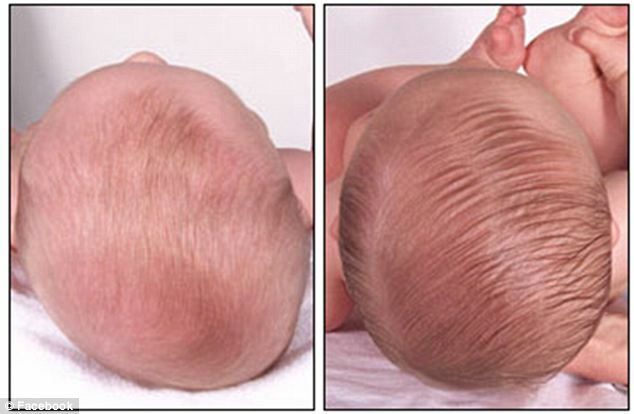 Positional plagiocephaly can cause the back of the child’s head or one side to flatten and only a small amount of hair to grow in the affected area. One of the most common causes of this disorder is having your child spend a lot of time lying on their back or in a position where their head is resting against a particular surface. Infant’s heads are soft so that they can expand as they brain grows throughout their first year which makes them more susceptible to alterations or flattening in shape. 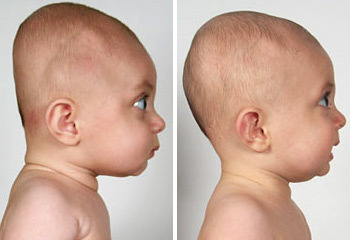 Flat Head Syndrome (positional plagiocephaly) is usually easy to notice as the back of the head known as the occiput will be flattened on one side. The ear on the side which has gone flat may be pushed forward as well. In severe cases there may be a bulge on the side opposite of the area of the head which has been flattened or the forehead will become uneven or asymmetrical. If this was caused by torticollis then the jaw, face or neck may also be asymmetrical. While other areas of the head and face may or may not be affected, the back of the head will always be included in this problem. Everyone has a few asymmetrical spots on their head. In most cases a flat spot on your child’s head will naturally correct itself by 6 months in age as they start to sit up and crawl. If you do notice that your child’s head is becoming flat, talk to your doctor to be sure this is not a problem. As your child ages their skull becomes less pliable so if you do need to work to correct the condition you will need to start when they are younger to get the best possible results. If necessary your doctor can refer you to a neurosurgeon or plastic surgeon to help treat your child’s flat head syndrome. If your doctor believes your child may have positional plagiocephaly then there are some steps you can do to correct mild forms of this condition. Repositional therapy combined with a few simple measures to round your child’s head help to eliminate this problem. 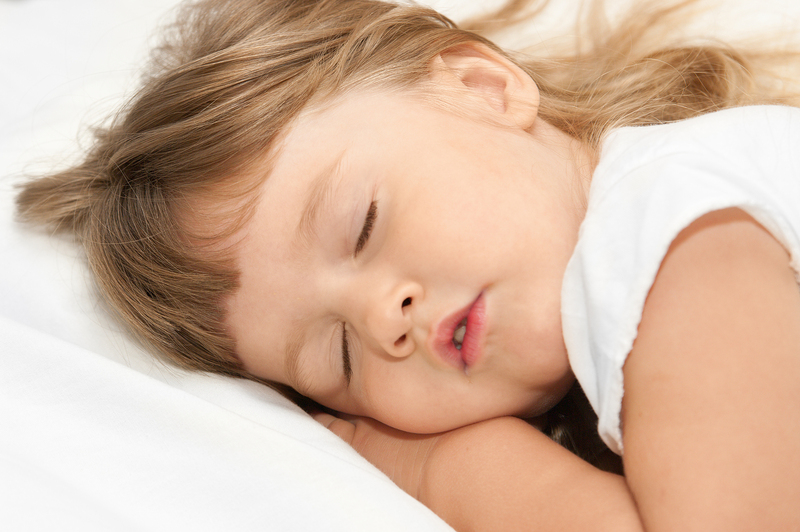 As your child sleeps work to alternate the direction their head faces when they are placed into the crib. Work to lay them down in a different position each night. Also vary the direction they would need to look to see objects around them. Do not use positioners to keep your child’s head in position while they sleep as this can increase their risk of SIDS. Alternate which side you hold your baby while feeding them. Also work to adjust the baby’s position during feeding to keep pressure off of the flat spot as much as possible. Avoid keeping a child in a seat such as an infant seat, car seat, carrier or swing for long periods of time. This is especially important if your child tends to rest their head in the same position while they sit. When your child is awake give them supervised time on their tummy. This helps to develop their motor skills and strengthen their neck muscles. Stronger babies may be able to move their head when they are sleeping so they will not always lie in the same position. To ensure your baby enjoys tummy time, start performing this ritual when they are awake within the first few days after birth. Babies that are not used to being on their stomachs may need some coaxing before they are able to participate. If your baby's flat head syndrome is severe, your doctor will recommend a custom-made helmet or headband. A 3-D photographic image of your child's head will be taken so the device can be custom-fitted. It's better to start before your baby turns 6 month old, and this therapy should be applied for about 23 hours per day, lasting two to six months. This therapy always works best when combined with with physical therapy. According to babycenter, this kind of treatment can cost up to $4,000. Some insurance companies will cover it in their orthotic benefits, but others consider it cosmetic or experimental and won't pay. Your doctor may prescribe exercises and physical therapy routines that can help to increase your baby’s range of motion in their neck. If these exercises are recommended be sure to perform them consistently to ensure they will be effective.